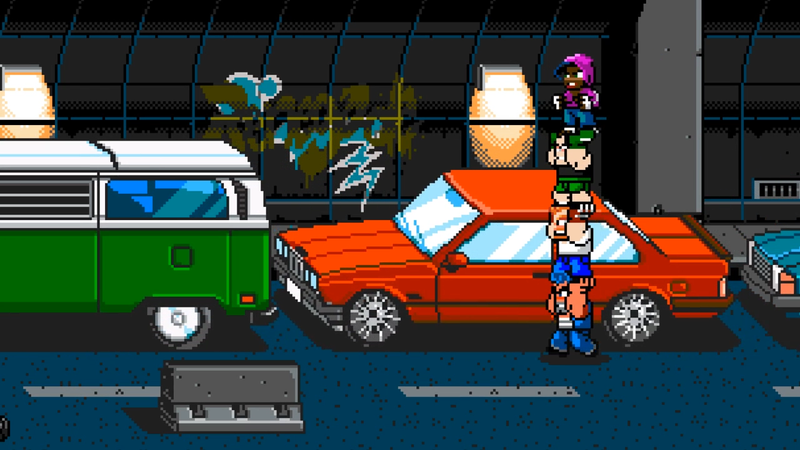 A copyright claim by a composer with a tendency to attract legal drama has led Steam to remove the game River City Ransom: Underground. The developers are disputing the claim and say they expect the game to be back on Steam at some point in the future. On Friday, July 14th, Steam removed River City Ransom: Underground due to a Digital Millennium Copyright Act (DMCA) claim filed by composer Alex Mauer. In the claim, Mauer said that music she produced for the game was being used without her permission. Mauer has developed a reputation for filing copyright claims against video games she says failed to give her proper credit. In February, her claims led Steam to remove a different game, Starr Mazer: DSP, over a contract dispute. Mauer says that the developer of that game, Imagos Softworks, did not have the rights to use her music in Starr Mazer: DSP or its marketing materials. “The problem is that Imagos did so much of their business with me without signing any contracts and they managed to create a situation where they owe me a large amount of money,” she said. “So I started escalating the situation through the DMCAs.” She also took action against YouTube videos and Twitch streams containing footage of Starr Mazer: DSP, attracting the ire of critics like Jim Sterling and John “Totalbiscuit” Bain. Mauer has also attracted a great deal of harassment, as various internet forums detail her every move and send nasty messages her way. Imagos Softworks is currently suing Mauer. Last week, a Pennsylvania judge granted a temporary restraining order against Mauer that blocks her from filing more DMCA claims against that game and its related works. Mauer has also filed DMCA takedown notices against YouTube and Twitch videos for River City Ransom: Underground. These copyright strikes are serious business on those video networks, where just one or two takedowns can make life hell for anyone who tries to make money by streaming and playing games. Crenna told Kotaku over email that he expects River City Ransom: Underground to come back to Steam. The game is still available on GOG. UPDATE (7/20, 10:38am): This story has been updated with further details from Imagos’ lawsuit against Alex Mauer. Note: An earlier version of this story said that Mauer had not worked on Starr Mazer: DSP. That has since been corrected.